One of the key things I love seeing at Dragonmeet is the UK Independents and the Playtest zone. I love seeing games in their early stages, with clip art and marker pens, it’s the Damien Hirst way of viewing a game. Should these games get signed, published and find their way to my game shelf, I'll never be able to forget seeing their insides, how they previously ticked and tocked, and maybe even where my input helped nudge it along (even if there was no input, it’s a contribution to that end product, no matter how small - and that’s still pretty cool). 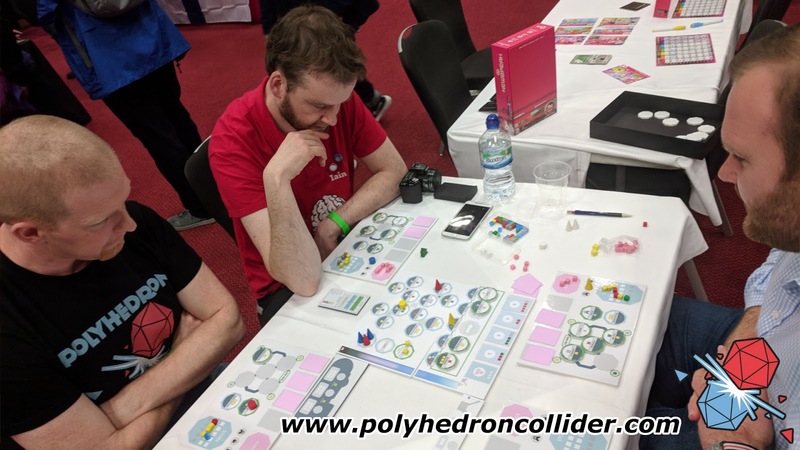 This year I managed to get in 5 prototype games, I'm sure I could have done more, but, as I said, this convention is so relaxed and friendly, I found that I spent just as much time chatting to friends new and old as I did playing games. 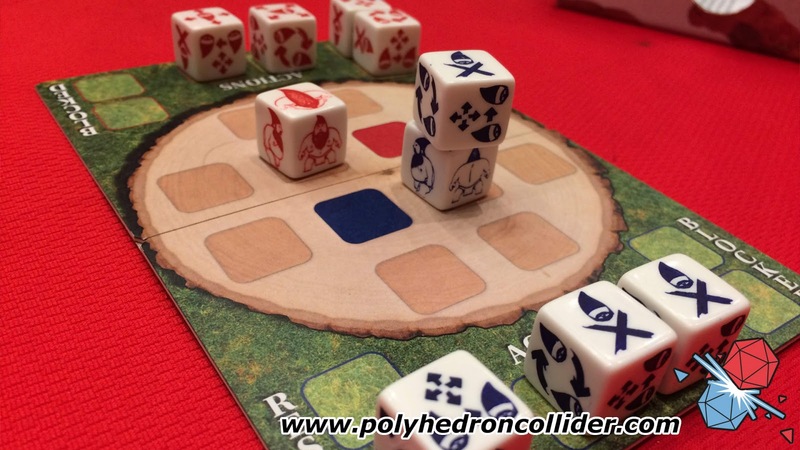 A very light, very fast two-player dice chucker. This was prototype 1.0, Robbie having finished making the dice just a day before. The principle of the game is to attempt to push your opponent out of the ring. You do this by playing dice, of which you have four, two in reserve and two active. Each turn you roll your previously used active dice and choose which of the four (including the two you had stored on your last roll) to use. The game is turn-based, so you can only make your decisions based upon the board state and what your opponent has in reserve. You're not overwhelmed by choice, the dice gods play a huge part of the game, but its light and fast enough that the game feels kinetic and engaging. I played 3 games (and won all three) in less than 10 minutes. As this was the game's first encounter with playtesters I'm sure there will be a few tweaks and refinements but the game felt very solid and ultimately, fun. 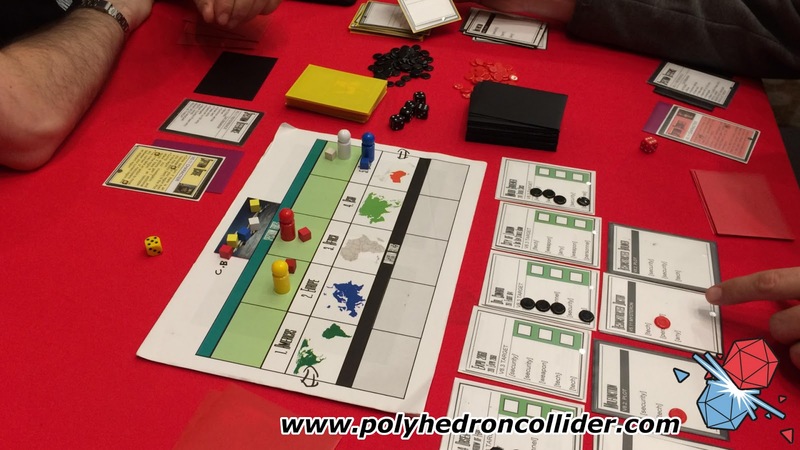 I swung by the Wren Games stand and saw the finished product of a game I have reviewed previously, playing a prototype copy, and the finished version looks ace. The full sized cards, the neoprene mat, chunky tokens, and the metal dice gave the game a great table presence. You can read the full review of the game here. Catching up with fellow media type person, Iain McAllister of the Giant Brain, I sat down with designer Michael Lee to play Aquanauts recently signed to ITB Board Games. This is the designer's first finished "for-fun" game, but as his day job is creating military exercise games he kind of has an advantage in the field. It’s a worker placement engine builder, where players will be attempting to harvest samples of the bottom of the Mariana Trench to write scientific papers. The game uses a “cascading production” system, similar to that of Ragusa. All the action spaces are centred around nodes, meaning each time an additional worker is placed in a space it the same node, every worker receives the node benefit of an additional resource. This happens regardless of who the worker belongs to, so it adds a layer of interaction to a mechanic which historically has little. The game has two major elements, worker placement, and engine builder, these are handled separately but don’t feel detached, with the engine, or base that you’ve built, helping provide “standard” resources and your workers and the titular aquanaut, collecting the more valuable pieces you need to complete your papers. Overall the game was really zippy, provoking a range of actions for the most part and many ways to victory. As an early prototype, our end game scores were pretty close, but I felt the game requires a little more development and balancing to take it to the next level. This is planned to hit Kickstarter in the Summer of 2019. Watch this space for more information and reviews as they come. The only published game I played all day was from Merlin Games. I’ve seen this crop up a few times on my Instagram and Twitter feed recently, so I thought I’d give it a go. It’s a two-player abstract game with dice. Now, I know that sounds like an oxymoron but it did kind of work. 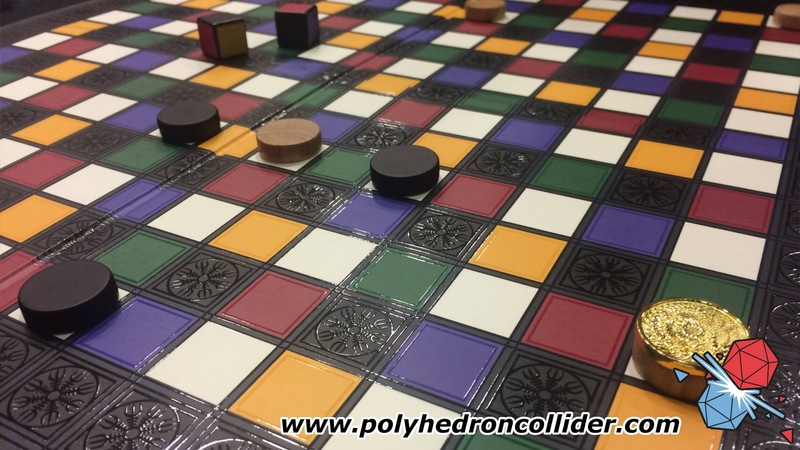 The board represents a labyrinth, where black squares are walls and all the coloured squares are locked doors. You’ll roll two dice where the colours rolled will grant you a key to the matching door. From here you’ll move your counters first towards the centre of the board to collect the gold and then towards the exit. Maze type boardgames are difficult to pull off because as soon as you see the maze from above it becomes an all-too-simple a puzzle to find the exit. Thieves gets around this with the locked doors, but by having their opening decided by the luck of a roll prohibits planning and removes quite a bit of agency. I can still tactically manoeuvre my pieces into positions that will cause problems for my opponent, by I found that I was only using half of my playing pieces to progress the game. The production quality is very, very high, and I get the feeling this is designed with a display in mind, much like you might have a chess or backgammon board out in a drawing room. As a fan of two-player abstract games, this didn’t quite feel crunchy enough for me as I didn’t have enough ability to really strategize. I stopped by to have a chat to the guys from Gaming Books about their book, and in the few minutes I was there they didn’t stop selling these books. Steve has been playing around with a copy we were sent and you can read his thoughts about it here. I discovered that they have a sci-fi version planned for around Easter 2019, and volume 2 of the Big Book of Battle Mats being released around summer time. Wandering the trade hall looking for the Alley Cat Games stand (completely unaware that I had a map in my bag) I hear someone call “Rory!”. It was only Mike Nudd, looking for playtesters for the Dice Hospital Expansion - the very game I was searching for. I guess that sometimes the board game Gods just work that way. Which is nice. What is also nice is a little bit of interaction and a sort of competitive/cooperative element to an already belting game. Fortunately, that’s exactly what we have here. This expansion acts as a mini-pre-game, replacing the standard drafting of ambulances and introduces some nice new elements. On a randomly generated separate board players will create a city layout, strewn with lots of sick and injured people. Players now have to drive their ambulances around collecting patients, moving orthogonally in a directing of their choosing stopping when they come to the end of a road, a patient or another ambulance. Turn order is then based upon the ambulance with the lowest total number of pips. However, any patients not collected (and there will be some) will all deteriorate when your hospital patients do, but all players suffer a penalty should any dice in the city fall below 1 pip. This expansion adds a lot of new elements and new ways to think about your overall plan, as you now have more agency and control over what colour and value of dice enter your hospital. Mostly this pre-game expansion adds direct player interaction, you are able to force another player to take an undesirable dice, or block their movement entirely. The inclusion of the cooperative element and group penalty is a really nice touch too, touching back to what the game’s theme is about. There is also the addition of ‘Collection Cards’ that players collect in addition to either a specialist or unit - these didn’t impact our game much and will probably require the most amount of refinement and further development. When Mike told me he was playtesting Captain Scarlett shortly after our game of Dice Hospital I was instantly sold. An area control co-op game with a traitor mechanic. This game was still in its early stages but the main framework of the game was there. Players are agents of Spectrum and from the iconic Cloudbase descend down to one of the 5 continents to uncover and repel the evil Mysteron threats in order to secure objectives. Rather neatly, this game has two clearly defined phases, the first where players are “working together” and the second, once three objectives have been claimed, “the battle”. In this phase, the double agents are revealed and on top of the area control players will now duke it out, and yes, with player elimination to either secure or conquer Earth. 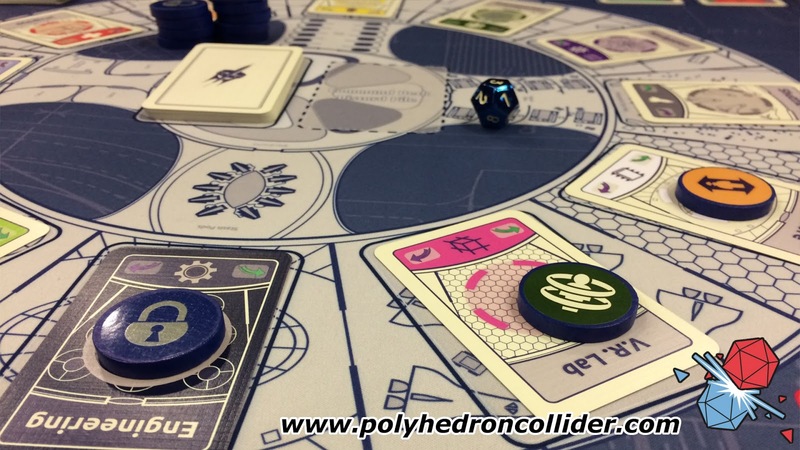 The game uses a simple dice rolling to attempt to uncover the Mysteron’s plans, which in the first phase acts a sort-of-AI, these cards—once turned face up—begin triggering sections of the objective cards where there are matching keys. This part of the game is, I think, pretty clever, as players will need to try and accomplish these objectives, but there will be a real drive to ensure that both sides win at least one early on, but without the Mysteron’s giving away their identities. For fans of the show, the game has lots of nods to the IP that went completely over my head but the other (older) chaps at the table really enjoyed. The game was still very much a work in progress and has some great interaction/paranoia going on. Certainly, one to keep an eye on. 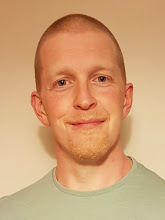 If you use Twitter and are part of the boardgaming community you’ve no doubt see or interacted with James Naylor (@naylorjames), designer of Magnate. 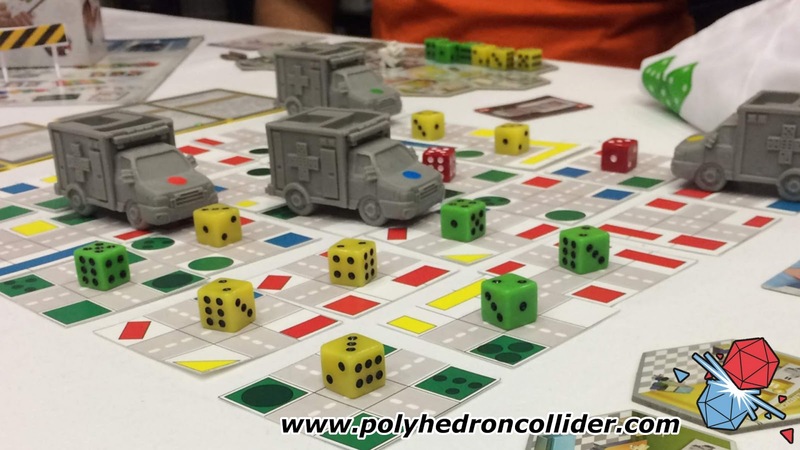 This game, as the name suggests is a city building game and boy does it have a table presence. 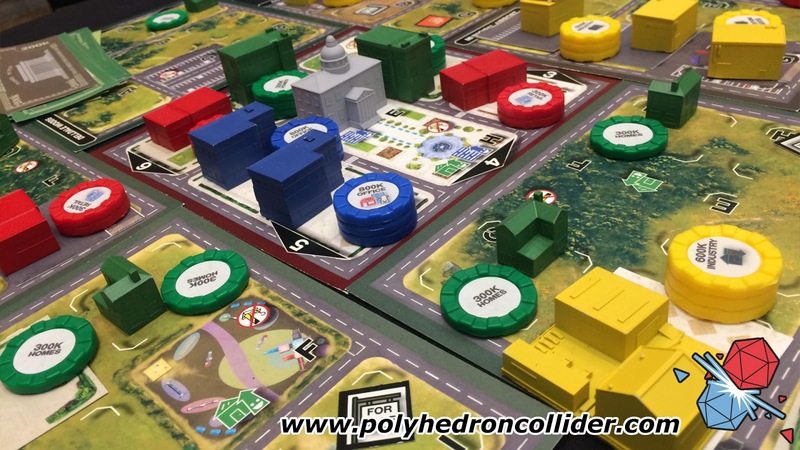 The key thing to Magnate, which separates it from other city builders is that the game isn’t necessarily about building a pretty or especially efficient city. It's about making dosh. Lost and lots of dosh. The principle of the game is that you’ll buy land while it is cheap, develop that land, bulldoze it, build something even bigger, better and more valuable and then sell everything before the market crashes. I had to leave quickly after that game and make my way home, leaving loads of games and gamers behind that played on until 11pm when the hotel finally kicked them out. Attendance figures are yet to be released, but the event certainly felt busier, yet never over-crowded. 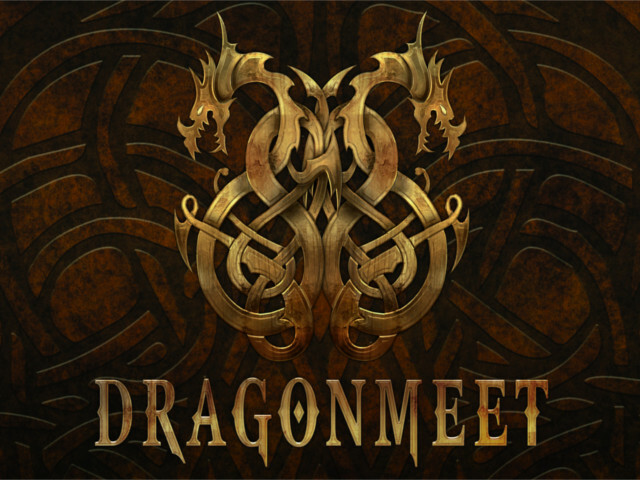 Organizers hinted in the programme that after only three years at the Novotel in Hammersmith, it may be time to look for a bigger venue in 2019 and possibly extending the tabletop fun to a whole weekend. Keep an eye out for this news in the weekly News Collider!